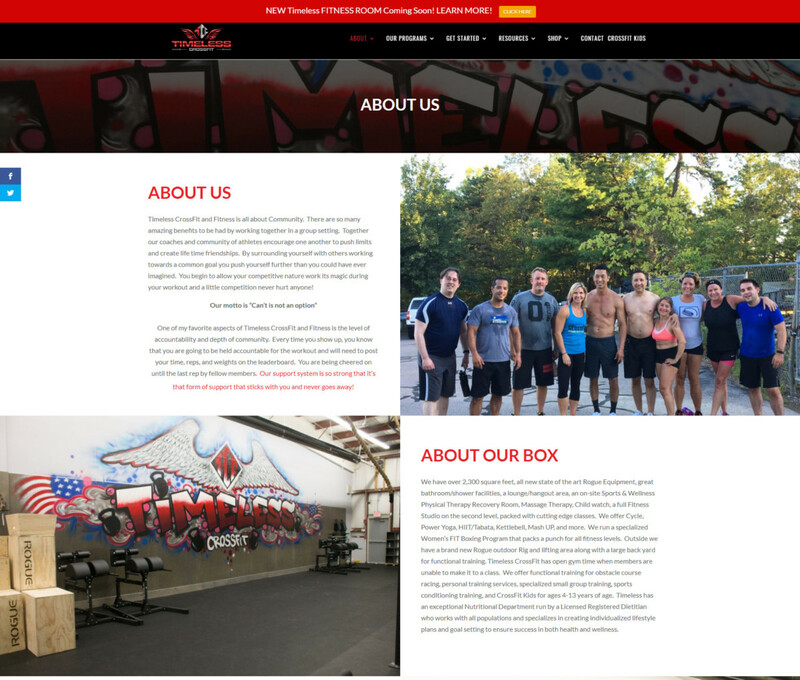 Most recently, Up And Social did a website revamp for Timeless Crossfit. The goal for this website was to provide a site that filled the needs of both current and prospective gym members. The information included for current gym members is hours, class schedule and fitness tips. For prospective members, there is general information about the gym, pricing, frequently asked questions, and instructional videos. All of this information is organized through a user-friendly interface that allows for easy navigation. The design matches the brand Timeless Crossfit has created – strong community and pushing limits. In-action images, easy to read fonts and bold colors were used collaboratively to support these qualities. Creating a responsive website was imperative to make sure that every site visitor receives what they need from the website. At Up And Social, we take pride in making sure our client’s vision comes to life. Our expertise about digital marketing paired with your deep understanding of your business ensures a successful end product. Contact us today to learn more!